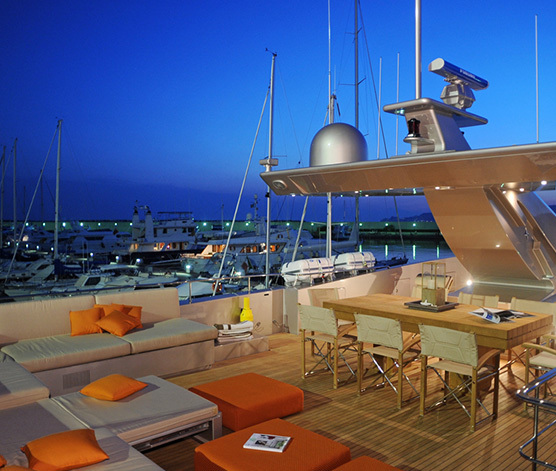 AQUA has an innovative layout created by Luca Dini. 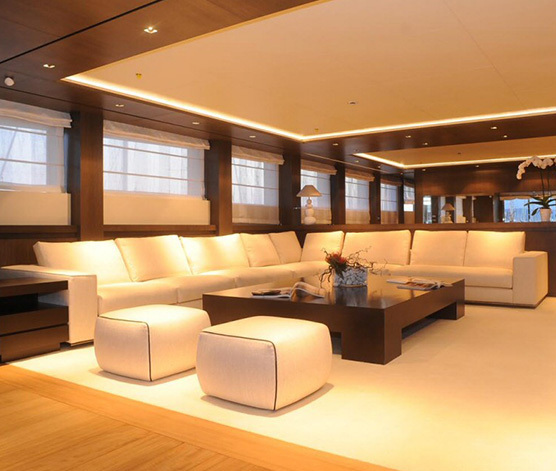 The main salon is chic and comfortable with a large couch to the port side with an entertainment unit to starboard. 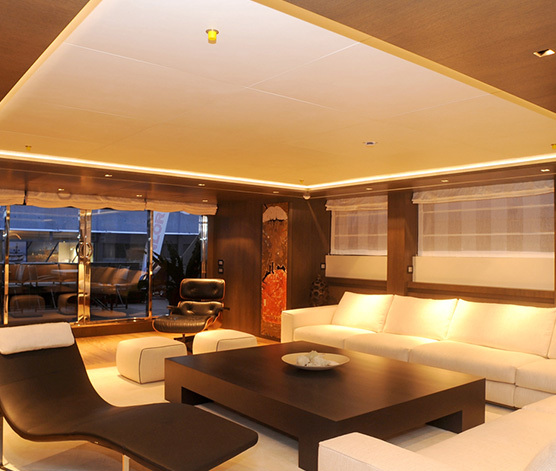 Further forward is he formal dining are with space for 10 charter guests. 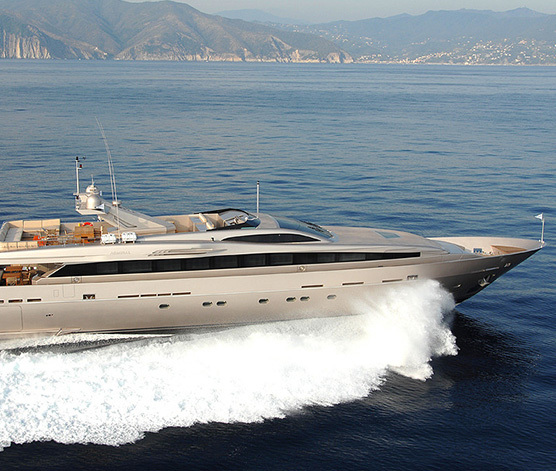 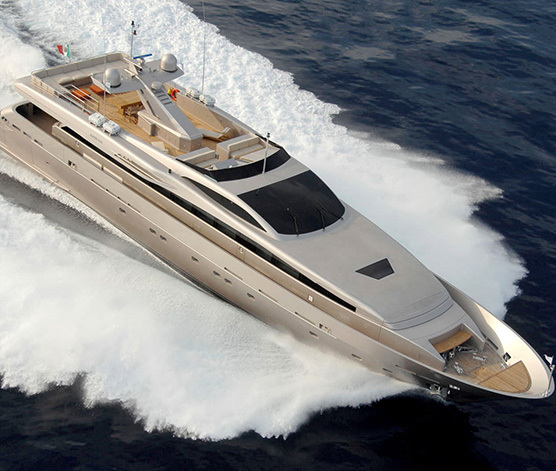 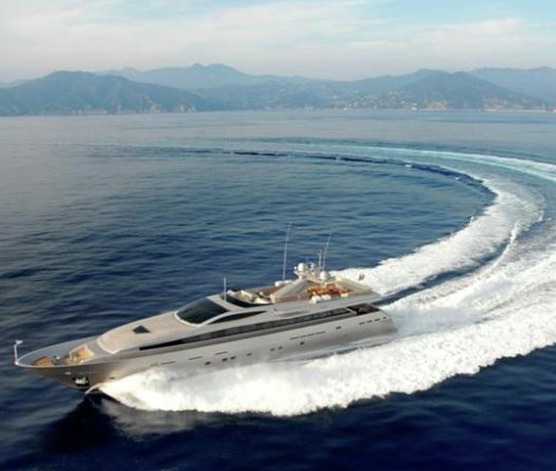 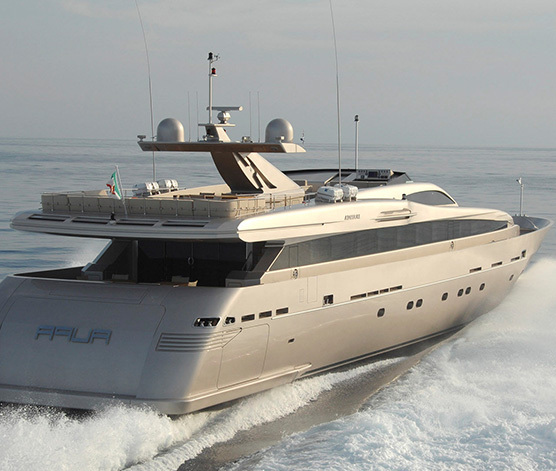 The AQUA motor yacht is able to accommodate up to 10 guests in 5 cabins situated below decks including a Master suite, a VIP suite, a Double stateroom and 2 Twin cabins. 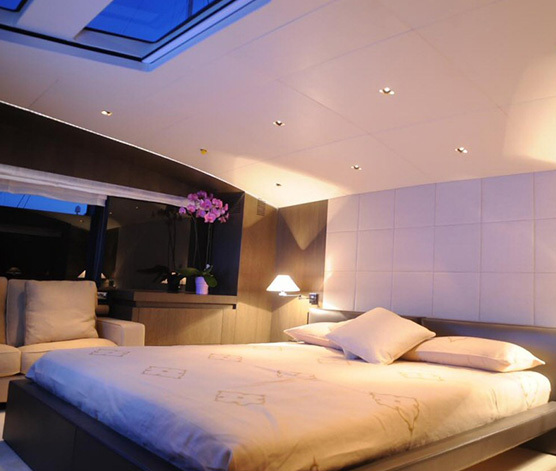 Each cabin has private en suite facilities. 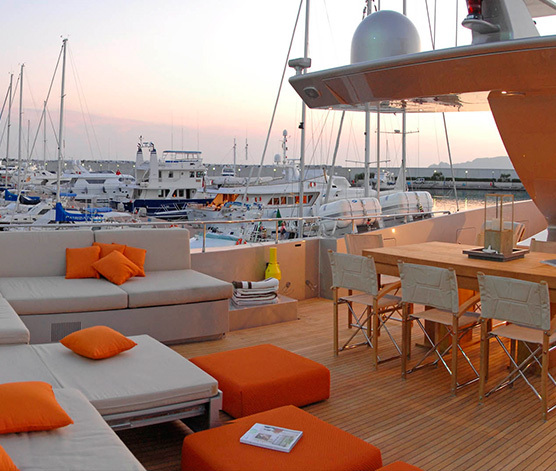 Charter yacht AQUA features several outdoor deck spaces to relax including a large sundeck with plenty of sunbeds, a table for al fresco dining and a large pop up flat TV screen, ideal for watching a movie in the evening. 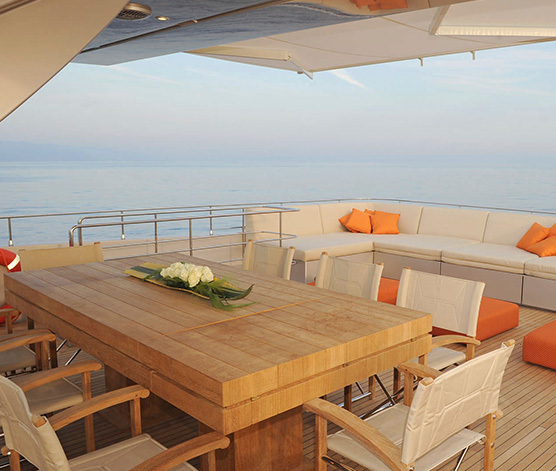 The aft deck also has an al fresco dining table and there is fixed seating on the foredeck.